Why are my evergreens turning brown? Why didn’t my spring bulbs come up? How much sun is “Partial Sun”? How much sun is “Full Sun”? When do I fertilize and what product should I use? How do I plant a tree or shrub? What is the best time of the year to plant trees & shrubs? This could be 1 of 2 things or a combination of both. Drought stress from last summer is becoming evident this spring. Salt damage- you will notice this along the roadside or driveway where salt was spread to melt the snow and ice. Unfortunately, the damage may be too severe to revive the plant and it may need to be replaced. If small areas are showing signs, the remedy for both would be to prune out any dead branches and fertilize with 10-10-10. For salt damage only, try mixing in some gypsum in the soil around the plant. There are a few potential reasons. First, if you cut down the foliage too early last growing season, the bulbs may not have regained the necessary energy for the next bloom cycle. We recommend leaving foliage in place until it dies back naturally. We also recommend an application of Dutch Bulb Food in fall. If your bulbs have been doing well for a few years and mysteriously have a lackluster show, you may want to consider dividing them. For pointers, please ask an Altumʼs associate. Last, itʼs no secret that your coveted bulbs are widely considered dinner for a number of neighborhood animals. Consider planting “deterrent bulbs” (ones they donʼt like) right alongside the ones they do. Just ask us for a list. You might also consider laying chicken wire over the bulbs and under the soil to prevent them from being dug up. Repellents may also work, but be sure to reapply regularly. SPRUCES and PINES :: June or July by cutting the “candle” (new) growth in half. BROADLEAF or NEEDLE EVERGREENS :: Shape in April through July and mid-September through October as needed. to avoid excessive sap flow. that bloom after May, prune in March before the shrub begins to leaf out. ALL PLANTS :: Trim out dead, diseased, or broken branches anytime. The ideal situation for most ‘partial sun’ plants is either morning sun or filtered sunlight. Typically, afternoon sun situations are going to be too hot for most partial sun plants, even if it is fewer than six hours. Six or more hours per day. For new plants, water slowly and generously, being sure to wet the soil to the depth of the original container or root ball. 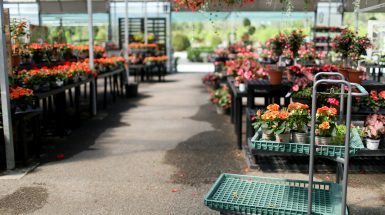 All newly planted items should be thoroughly soaked at least once a week from spring until ground freezes in fall (more frequently in very hot weather). We recommend watering by hose turned to a slow drizzle for 20-30 minutes. 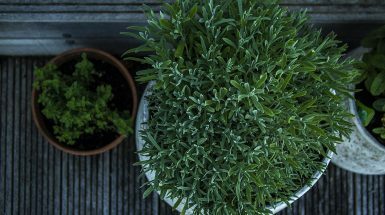 Very small plants, such as groundcover, perennials, and flowering annuals have smaller root systems and will require a deep, thorough watering every 3-4 days. We also recommend an application of Root Stimulator* just after planting and weekly for six weeks, especially during warm summer months. Generally, the watering guide for new plants should be followed for 1-2 years after planting to ensure good root development and plant establishment. Beyond that, water plants throughout drier summer months to avoid placing them under unnecessary stress. Acid-loving Plants. For all evergreens apply Iron Plus* once in spring and once in fall. Deciduous Trees and Shrubs :: 12-12-12* in April and after leaf drop in fall. Groundcover :: 12-12-12* in April. Perennials :: 12-12-12* in mid-March and again 6 weeks later. Annuals :: For best results, use a water-soluble fertilizer once a week to promote growth and blooms. Dig a hole that is approximately 6 inches wider than the root ball and shallow enough to leave the top third of the root ball exposed. Keeping the top portion just above soil level helps prevent potential drainage problems. Add Super Phosphate 0-18-0* to the bottom of the hole to stimulate root growth. Then mix an equal amount of Soil Amendment to the backfill soil. roots with your hand or cut entangled roots down vertically. root ball with a thin layer of backfill. Anytime the ground is not frozen! Youʼll often hear that soil and weather conditions are most amenable in spring and fall. But pick a time that works best for you, when your favorite plant varieties are available and you have the time to spend. One note: there are considerations to make when planting in the summer. 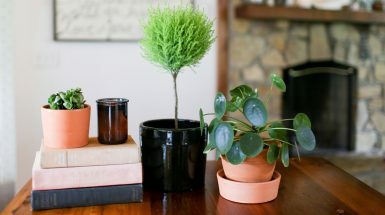 Due to typically hot, dry weather, commit to a generous watering routine to help your plant thrive and to minimize the chance of transplant shock. We also recommend using Root Stimulator regularly, per label directions.